1. Start caring about your collagen now. Collagen is a protein produced by our cells that helps “hold” the skin together, keeping it looking younger and giving it firmness and elasticity. When we’re young, our skin stays plump and smooth because it constantly regenerates itself. For the younger folks, the best time to protect your collagen is NOW! i.e. before you see the effects of sun exposure, stress, ageing etc… on your skin. Once your skin starts to sag, it is much harder to correct. 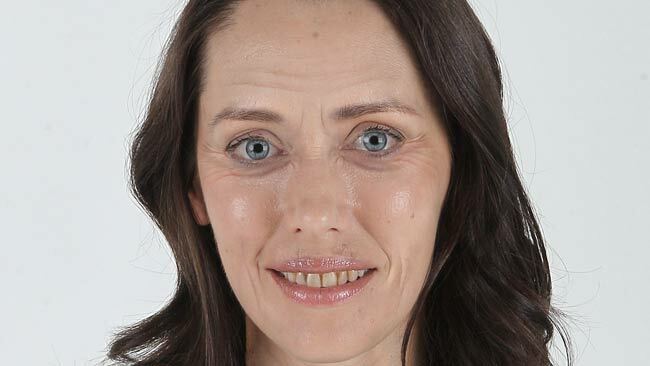 For those of us whose skin has seen the ravages of time, it’s still not too late! Regular exercise and cutting down on your sugar intake will help to increase oxygenation and blood supply to your skin cells, which will in turn aid collagen production. Drinking or eating too much sugar can cause premature ageing of the skin by a process called glycation. 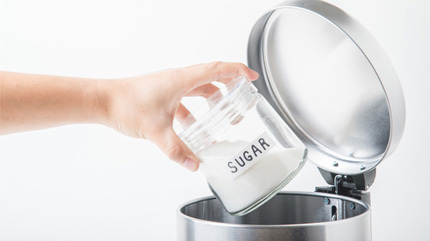 Excess sugar in the blood attaches itself to lipids, nucleic acids and proteins (especially your collagen) to form “advanced glycation end ­products” or AGEs, which accelerate the ageing process leading to unsightly fine lines and wrinkles. A 2007 study published in the American Journal of Nutrition concluded women over 40 with the highest amount of vitamin C in their diet were less likely to develop wrinkles than those who consumed lower levels. Vitamin C is a crucial vitamin not only for the formation of collagen fibres but also for the natural production of collagen within the body. Without adequate levels of vitamin C, amino acids cannot be linked to form collagen protein. Good natural sources of Vitamin C are red peppers, dark green leafy vegetables, oranges, pineapples, kiwi fruit and tomatoes. Skincare that contains vitamin C can also encourage collagen repair. 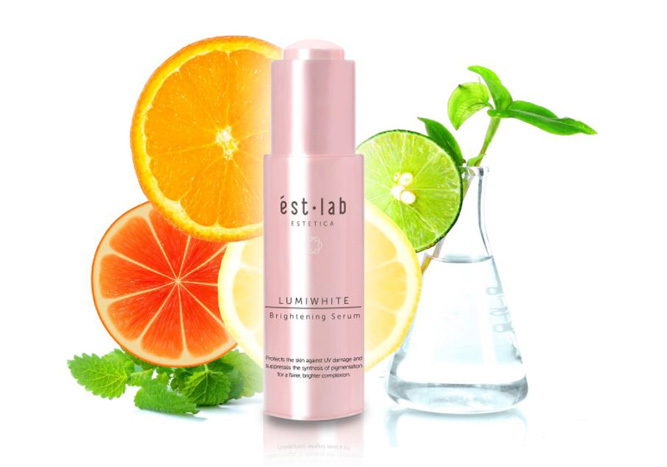 Try Estetica ést.lab LUMIWHITE Brightening Serum: its main active ingredient – STAY-C® 50 is a stable derivative of Vitamin C. It significantly decreases melanin content in human melanocytes by 57% and visibly lightens and evens out skin tone. It also has exceptional defense capability against UVA induced melanin formation. In a 2013 research study, more than 900 participants were followed closely for four years and the study concluded that those who use sunscreen daily were 24% less likely to show signs of ageing. It takes only two short exposures to UVA rays (two hours of strong sun over two days) to increase the body’s production of the collagen-degrading enzyme MMP1. UVA rays especially, are able to penetrate deep into the skin and damage the collagen support structures. Which is why excessive sun exposure is the number one contributor to collagen loss. Using a broad-spectrum SPF 30 or higher is a must to safeguard your collagen level. 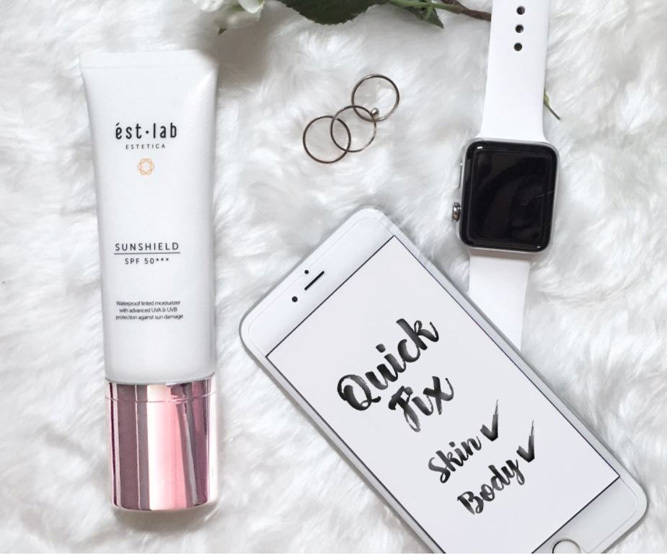 Try the ést.lab SUNSHIELD SPF 50 ***– a broad spectrum UV block with high SPF factor to provide long-lasting protection against sunburn and photoaging. Gentle for everyday use, the sunscreen changes colour upon application to complement your skin tone perfectly. The colour change also signifies the activation of UV-sensitive DNA micro-capsules to release Vitamins C & E to protect your skin upon UV exposure. ‘Free radicals’ are akin to little needles that poke holes and break down your collagen fibres. UV rays, smoking, pollution, stress and overeating processed food damage skin collagen by producing free radicals within your skin. Antioxidants help by neutralizing the free radicals that cause skin to age prematurely so that it doesn’t have to feed off our healthy skin cells. To help protect collagen from the inside, eat more antioxidant-rich fruits and vegetables like grapes, nuts, whole grains, spinach, broccoli and berries. Green tea contributes many protective phytochemicals such as the catechin epigallocatechin gallate (EGCG), which is a particularly potent antioxidant. Look for creams and serums containing antioxidants too. Try Estetica ést.lab VITALIFT A+ OPC Antioxidant Cream. Its main active ingredient – ACTIPHYTE® or grape seed extract possesses powerful antioxidant ability to increase intracellular vitamin C levels, scavenge oxidants and free radicals to eliminate them and inhibit destruction of collagen. It improves cellular vitality, boosts cell renewal and nourishes the skin to quickly replenish nutrients and elasticity back to the skin. Estetica’s TriPollar Radio Frequency (RF) Therapy uses a new generation of advanced radio frequency technology to channel heat energy deep into the skin to boost collagen production. It regenerates collagen fibers in the dermis layer, shrinks fat cells in the hypodermis layer and accelerates collagen regeneration. Give your skin a much needed collagen boost now with a 1st trial session of Estetica’s TriPollar RF Therapy at just $68 (U.P. $600). See visible results in 1 session! Click here to sign up now!